Welcome everyone to your home with this SCENTED Twig Wreath. 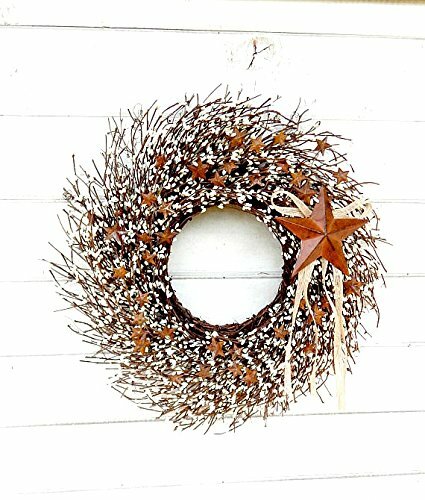 This wreath is made on a natural twig base and packed full of artificial pip berries.It looks beautiful on your front door or inside for your Rustic Home Decor. WildRidge Wreaths are sprayed with a protective clear gloss spray...but need to be protected from any moisture (hang in protected area-away from elements) Customize your wreath and choose your Scent and Size.